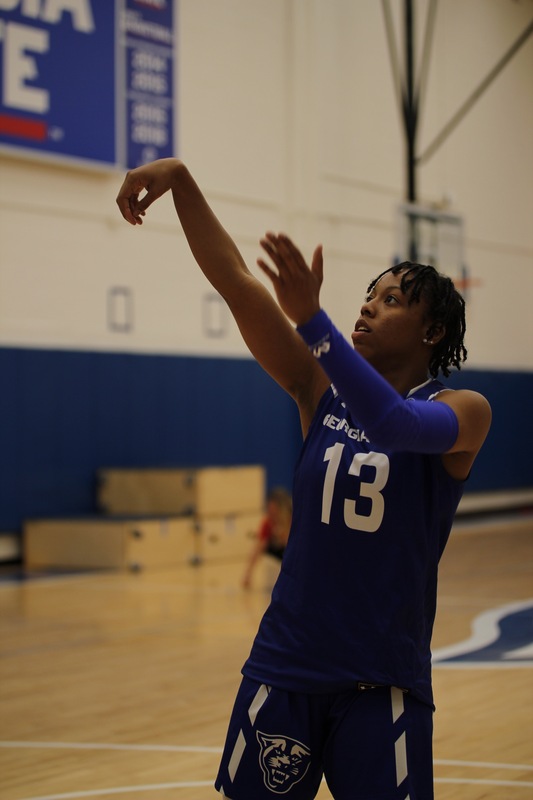 After finishing this season leading the Georgia State women’s basketball team — averaging 13.9 points and 2.6 assists — Jada Lewis has been named Athlete of the Year. She made the All-Sun Belt Conference Second Team and thinks she could’ve been much better. Although Lewis is hard on herself, her hardwork has paid off . “The lesson I learned was live in the moment, and everything is not as bad as you make it seem sometimes,” Lewis said. Her journey to having a good year was a year in the making. Lewis injured her foot, causing her to miss all but two games during the 2017-2018 season. But that didn’t stop her from bouncing back and helping the Panthers finish fourth in the Sun Belt. Being vocal helped Lewis through her time off. It also made her look at things from a different perspective. It was a great comeback for Lewis nonetheless. From being the Sun Belt Conference Freshman of the Year to being injured and now making Sun Belt All Second Team, Lewis’ career came back full circle. Along with her great season, the basketball team also had a historic season. Under first year of head coach Gene Hill, the Panthers went from 8-22 to 17-14, automatically qualifying them for the quarterfinals of the Sun Belt tournament. Their run for an NCAA Tournament appearance ended at the hands of the Appalachian State Mountaineers when guard Madi Story hit a game winner to end the Panthers’ hopes. Lewis finished the game with five points on 1-of-9 shooting. She struggled the next game against North Alabama in the Women’s Basketball Invitational, scoring only four points. After this extraordinary season, much will be expected of the Panthers, but mainly of Lewis. “My expectation for next year is being a better leader. That’s been my expectation since I’ve been at Georgia State even coming in as a freshman,” Lewis said. Leadership is one of two expectations she has going into next season. As a rising junior, Lewis is going to be the top returner of a team that will have just six players.